Looking at the drawings in this exhibition, it would be difficult not to be seduced by the flowing rhythmic line which emanates from the artist's hand. Born in Glasgow, William McCance (1894-1970) was only 6 years old at the start of the century. But during the next 70 years of his life he was to make a significant impact on the 20th century British Art Movement. His drawing skill was a fundamental part of McCance's work. Educated at Hamilton Academy and Glasgow School of Art in Fra Newbery's day, he married fellow student Agnes Miller Parker, later the well-known wood engraver. In 1920 both exhibited in the Glasgow Society of Painters and Sculptors along with artists like James Cowie, Robert Sivell and Archibald McGlashan. In London for the next 9 years, McCance produced some of his most adventurous works in the Vorticist and Cubist styles. He exhibited in several London galleries and became the art critic for Spectator magazine. In 1930 he moved to Montgomeryshire as controller of the Gregnog Press designing high quality limited edition books. He was Lecturer in Typography and Book Production at Reading University School of Art from 1943-1957. McCance returned to Scotland in 1960 having separated from his wife. Later he married Margaret McCance and lived and worked in Girvan until his death in 1970. Since then she has dedicated a large part of her time and thought to increasing the recognition and appreciation of his work. There have been various exhibitions of his work in Glasgow and Dundee and McCance's work was included in the 1989 'Scottish Art since 1900' exhibition at the Scottish National Gallery of Modern Art. 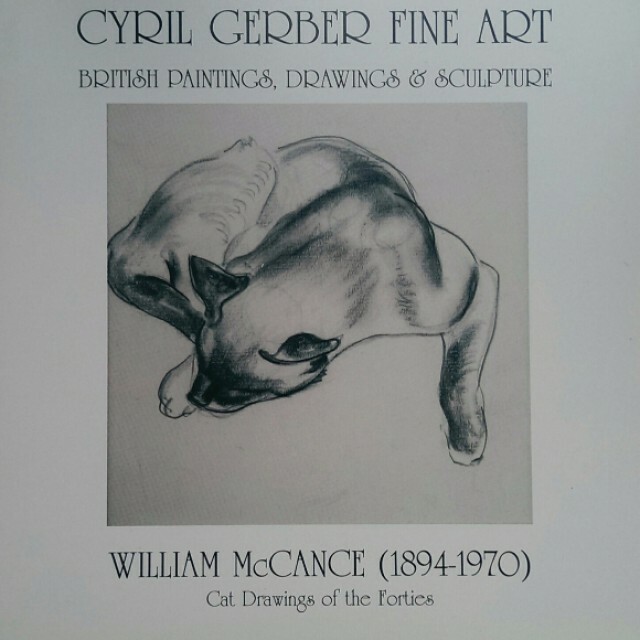 A fully comprehensive exhibition was also held in Cyril Gerber Fine Art in 1989. This exhibition concentrates on an important aspect of McCance's work - his drawing skill. 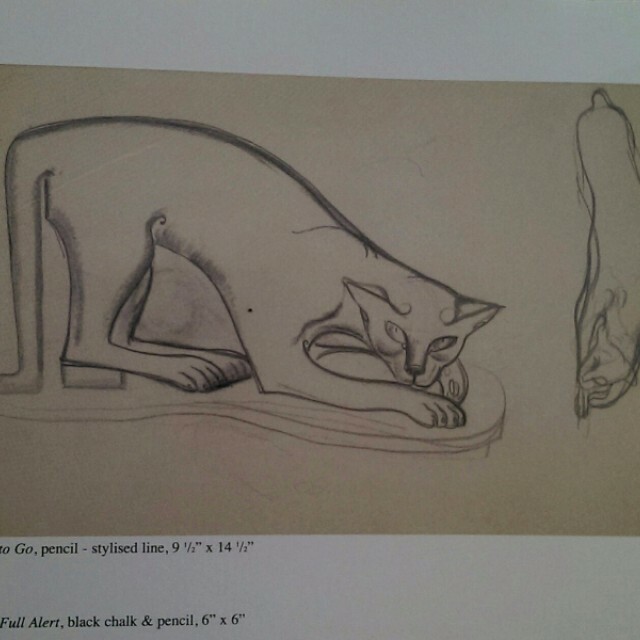 The cat drawings typify his energetic, lively approach to his subjects and sense of design.